We are drawn to objects - shiny or not. Little keepsakes we collect become integral reminders of where we came from. When people leave our lives objects can be something tangible to keep their story alive. Often they are what separate fact from fiction. Some objects take on a whole other purpose in our lives. We look at their service as though they were a living, breathing thing. We tend to personify them, like in Holling C. Holling's book Paddle to the Sea and Bill Mason’s iconic Canadian film adaptation that is one of my favourites. We try to get a sense of what they have witnessed, how they touched people’s lives, what they have had to endure and persevere to end up being in our presence today. We can document and witness its journey and the lives that have been touched. Which brings us to the fishing schooner Marion Elizabeth, built in 1918 by Smith and Rhuland in Lunenburg, NS. Smith and Rhuland are the same company the built the famed Bluenose in 1921. This is a much bigger boat than little Paddle we all remember, but with just as diverse of a journey and story to tell. The Marion Elizabeth was built for John Westhaver, a master mariner out of Lunenburg, NS, who named the ship after his wife and daughter. Westhaver, along with a handful of other shareholders, started the Marion Elizabeth Shipping Company Ltd. in 1925. The schooner traveled officially between Nova Scotia and Portugal. 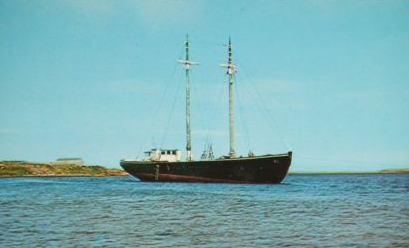 The Marion Elizabeth, as seen in Margaree Harbour in the 1950s. Although built as a “fishing” schooner, there were other more lucrative opportunities available at the time. Of the more notable chores the vessel was known for is smuggling gin during prohibition, where it was fired at on one occasion by the US Coast Guard. Gaff-rigged schooners were simple to sail, fast, and extremely versatile, making them the ideal choice for smuggling. The schooner spent a considerable amount of time in Newfoundland fishing and transporting Cape Breton coal to various locations. In Nov of 1929 an earthquake hit the Burin peninsula in Newfoundland, followed by a tidal wave that killed 9 people. 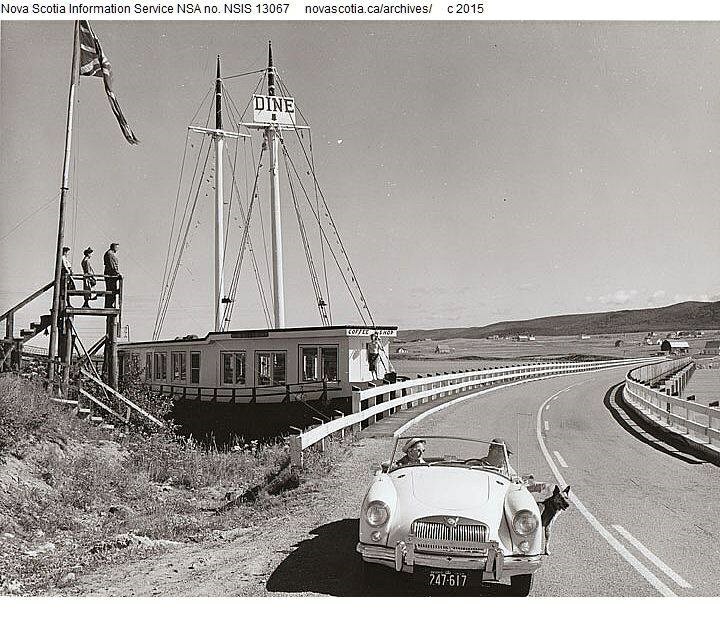 It is unclear if the ship was present but Burin was one of their main ports of operation during that period of time. "The Bluenose and Marion Elizabeth were on the Grand Banks fishing , and ran out of supplies about the same time, and were both heading for Burin in rough seas. First come first serve in Burin, so Westhaver put out lots of sail, more than the Bluenose could handle in those seas , and got to port first. Westhaver later encountered Walters in town, neither saying anything as they walked past each other , but after he passed Walters yelled "there's no fool like an old fool" at Westhaver." At some point the schooner was converted into a knockabout , with engines installed and a wheelhouse built. The topmasts and bowsprit were removed by Good People's Sea and Sail in North Sydney. Westhaver eventually sold the ship. It came into the possession of W. H. Roberts and an Eastman after his time. In the 1950s the boat was about to take on a new life. Ken Hansford, a well-to-do business man from Toronto, purchased a piece of land in Margaree Harbour and started a tourist shop along the Cabot Trail. As the popularity of the Paul Pix Craft Shop grew he added several more attached buildings. He came into possession of the Marion Elizabeth and saw an opportunity to create a unique visitor experience. His plans were to beach the schooner on cement blocks to create a restaurant. The beaching didn't go well; there were complaints that Hansford hired local farmers to beach the boat instead of hiring local fishermen. During the move the boat was badly twisted, the masts were tearing a way at the superstructure and they had to be cut off at the roof line. The masts that were later erected were about half the size of the original ones . 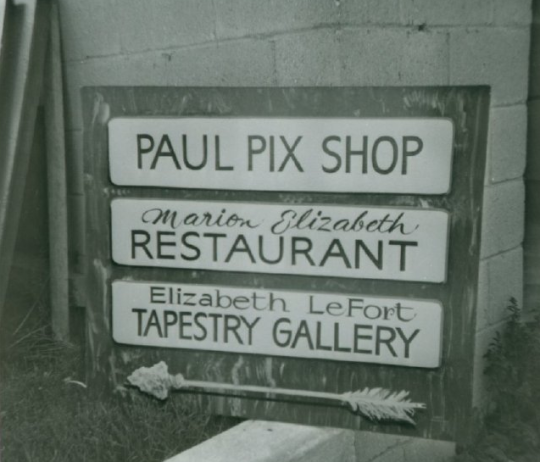 Ken became a local art broker, commissioning work within the store, including those of Elizabeth LeFort, the famous Cheticamp rug ******, who he eventually married. His influence and connections put her work on the international stage. Paul Pix and Schooner Restaurant. Elizabeth LeFort and her works were was showcased on site. Paul Pix and the Schooner Restaurant were a hub of activity but by the late1960s upkeep and regulations became a challenge. The operations were closed by the provincial health department for several years. This brings us to the story of John and Stephanie May, the parents of well-known politician Elizabeth May and her brother Geoffrey. Stephanie was one of the most prominent political activists in Conneticut while John was the Assistant Vice President of Aetna Life and Casualty. Concerned about John’s high blood pressure and the confinement of a 9-5 job. 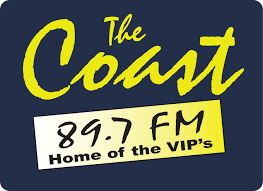 the Mays moved to Cape Breton to resuscitate the business. The cost was high, to the tune of $165,000. The Mays built a complete sewage treatment plant to fix the restaurant’s problems, plus massive renovations of the gift shop, so that the tourism complex could be re-opened and provide a major boost to employment in the Margaree area. Above: Pictures of Stephanie May and John May promoting their business. Schooner Restaurant as it was in 2001. “As the travelers enter the dining room they are led by a teenage boy attired in kilts and playing bagpipes. After the guests are seated the piper accompanies a young girl who dances the highland fling. People found the food great and the atmosphere welcoming. The Financial Post rated the Marian Elizabeth Schooner’s chowder the best in Canada. 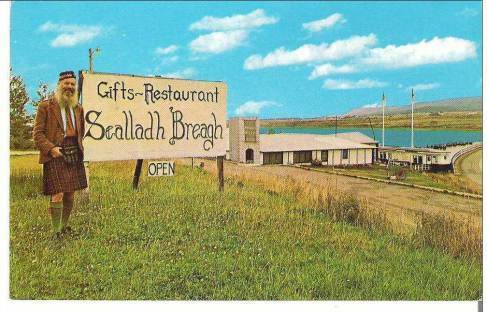 There are many notable memories about the place, particularly the evening festivities of Celtic Music. 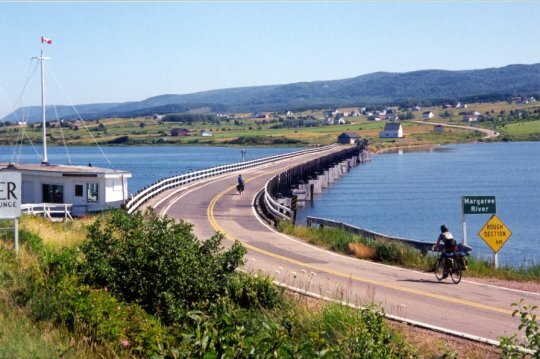 Unfortunately, after several successful years of business, the restaurant and gift shop were expropriated in 2002 to make room for a new bridge across the Margaree River. Bridge as seen from an area close to where the Schooner Restaurant once stood. There was lobbying by the Mays to seek funding to either move the boat or build around it. At the time, the Marion Elizabeth was known as the last example of a Bluenose style schooner still in existence, even though it had undergone a number of modifications. Many believed that the schooner was not salvageable and wouldn't transport well. 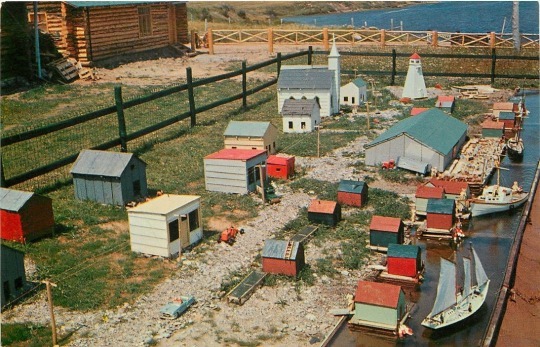 Sadly, after it was expropriated and turned over to the province the gift shop, Marion Elizabeth and The Happy Adventure were demolished and hauled off to the local landfill. Geoff mentioned to me that he had hoped to save Farley's Boat but was only given two months to empty all of the buildings and couldn't get a crane to the location in time. The storied history of the schooner is destined to the sands of time and, eventually the study of local legend and folklore. But for now this story remains in the hearts of those who have had the opportunity to touch a piece of important history. I wanted to thank a few people for helping to add details to the story, including Geoff May, Peter Sheehan and Marie Blackie. One of the real pleasures for me is putting something out there and having people add to the discussion and story. loved this blog Chris! Brought back lots of nice memories from when I was a kid! We spent a lot of time in Margaree as my father was a fisherman..thanks for this! Chris : Ken Hansford started with one log building ; he then added and added to create the final building which was four buildings interlinked with a garden in the middle. He started several years before bringing the ME schooner to the harbour . The original interior of the schooner was totally changed by the May family . Much of the original gift shop was also changed . 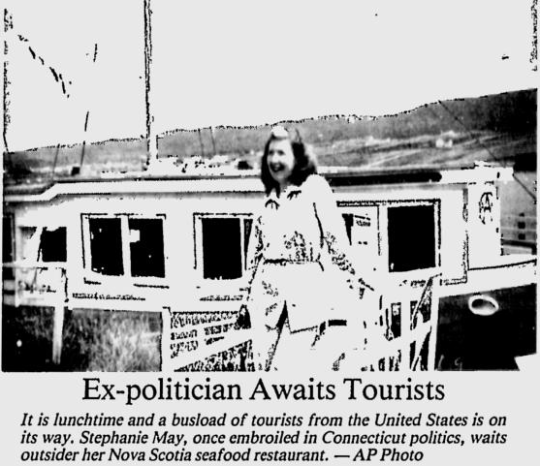 You want to find photos of the schooner and gift shop when it was owned by Hansford , as that was when the schooner got the attention of travel writers and bus tours ; and also the waitress staff uniforms were even an attraction . The Hansford era was entirely different than the MAY era . You want to speak to some of the former staff . Would love to see a book about the ME but some of your story doesn't seem to match it's history . 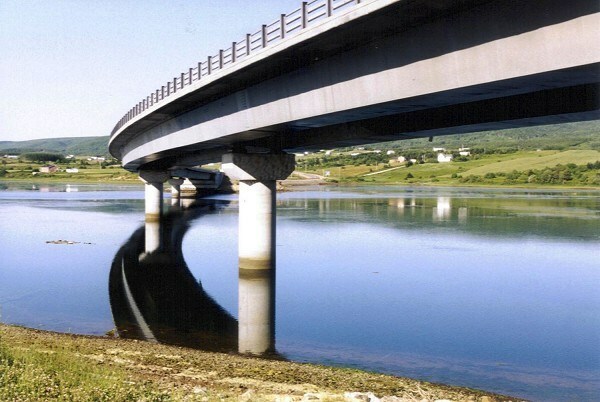 The whole site was expropriated to build a bridge and re- route a highway . The $$$ side of the story would be interesting chapter. The ME couldn't be saved if that is what you think .The Mowat schooner could have been sold or donated to save it, but it wasn't. Thanks for your comments Peter. I will revise the story with some of your information. I am interested in the process of developing the story as it progresses with new information. It has been an interesting way to engage people. The information I have put together has been from various accounts, old newspapers, ship building records and other articles. It would be great to clear up any specific discrepencies that stand out to you. When you say the ME couldn't be saved are you referring to its condition? Thanks again. I don't recall any effort to "save " the ME . The way it was mounted on the cement was not a full length type of cradle so the whole keel and weight points were not 100% supported so slowly I think the hull began to twist. Early and later photos might confirm that . Here is some information from an an interview by Elizabeth May. qahn.org/files/.../documents/qhn/QHN%20July-Aug%202006.pdf "My mother and I tried negotiating with them to ensure that the schooner would either be moved or kept in place. But they expropriated and before we could do anything they had demolished the Happy Adventure and the Marion Elizabeth and hauled them to the local dump. In the period leading up to this we had written peo- ple like Sheila Copps, then Minister of Canadian Her- itage, asking whether they could designate the boat or intervene. They all said they had no budget to help. The Nova Scotia government couldn’t have cared less. It was so frustrating." Talking with Geoff I got a sense that the restaurant would be a challenge to move and he felt that, within his power, he could only be able to move the Happy Adventure but ran into time constraints. In order to expropriate, there usually is/ was a previous offer that was turned down. So suspect there was lots of time before the expropriation would have gone through to save whatever . There are two sides to this story .